Jo Cato is global chairman and CEO of one of the fastest-growing global communications firms in the industry. With years of public and private sector experience, spanning several countries and states, Cato founded Periwinkle with a vision to build a positive and entrepreneurial environment where organizations build bridges between diverse communities and talented people at all levels could do great work and thrive. Ms. Cato oversees the firm’s day to day operation and Global Board, while continuing to provide communications counsel to many high-profile executives and clients. She is an expert in issues management and crisis communications; presentation and media training; and is regularly called upon to speak about issues facing the public relations industry. Government and public affairs experience. From 1999 to 2011, Cato served the City of North Las Vegas as their appointed Planning Commissioner, where she served as in the capacity of both Chairman/Vice Chairman. She currently serves as board member on Nevada Governor Brian Sandoval’s Workforce Development Board, Nevada State Apprenticeship Council, NAACP Las Vegas Branch, City of North Las Vegas Citizens Advisory, Utility & Transportation Advisory Boards, Armed Forces Military Appreciation Inc., Clark County Business Development Advisory Board and an Ambassador with Peace with Universal Peace Federation. 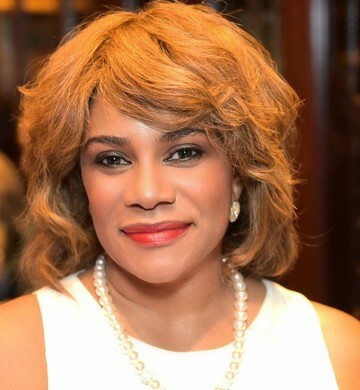 Jo currently serves as Secretary & Strategist for the African Chamber of Commerce and Tourism and board member of the Las Vegas Urban Chamber of Commerce. She is s a recipient of the 2018 Entrepreneur of the Year Award given by the National Association of Women Business Owners (NAWBO). Cato earned a BA in Economics, along with an MA in Economics from The George Washington University School of Business and participated in program course work (Executive MBA) from Arizona State University. In addition, she has earned certificates from eCornell University (online curriculum) in Revenue Management and Strategic Economic Development and Marketing; as well as a certificate in Marketing (American Management Association) University of Nevada Las Vegas. Cato is the author of Get Noticed: How to Reach and Retain Clients. In her free time, she enjoys quality time with her family, volunteering for various causes and travelling.